Experience Luxury Living in the Heart of the City! 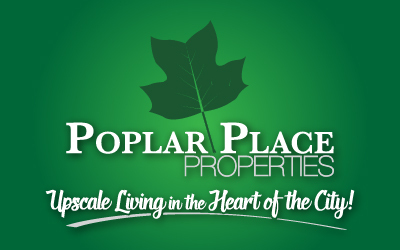 Poplar Place Properties is perfect for anyone; Murray State Faculty, Staff and Students, Families, Young Professionals, Retirees, Special Needs and anyone looking for a beautiful home. Poplar Place Properties is Locally-Owned and Managed with one, two and three bedroom units available and also provides 24-Hour Security Monitoring. Upscale Living in the Heart of the City! Looking for a house, an apartment or a town home? You can apply right online! Click below to fill out and submit your application and we will reply shortly! Poplar Place Properties has so many amenities that make us different from ohter apartments and town houses in our area. Click below to find out more! City living with New Orleans style in mind. Exterior space designed to allow for community living yet private when desired. Downstairs is built with extra large doors and generous room for anyone to move around freely. 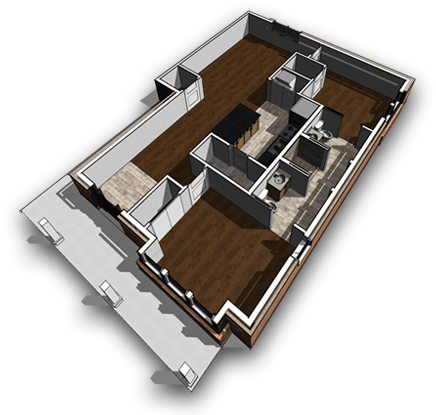 The Manhattan floor plan is 1,050 square feet with two (2) bedrooms and two (2) bathrooms. © 2019 Poplar Place Properties. All Rights Reserved. Responsive Website Services provided by: Helix Creative, LLC.